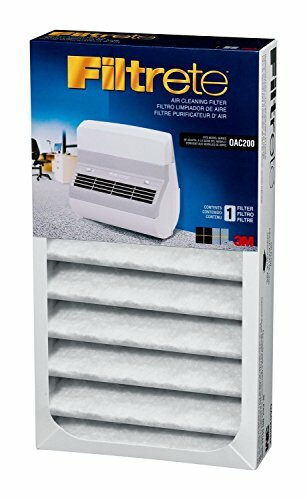 Filtrete Replacement Filter for OAC200 Office Air Cleaner. Electrostatic filter media with built in activated carbon filter helps clean the air and reduce odors in the office. ter is easy to change. If you have any questions about this product by 3M COMMERCIAL OFC SUP DIV, contact us by completing and submitting the form below. If you are looking for a specif part number, please include it with your message.